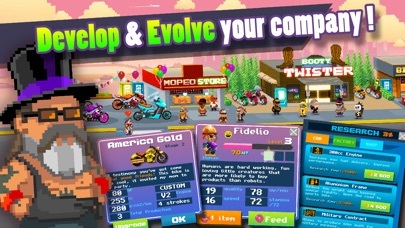 Motor World: Bike Factory App Data & Review - Games - Apps Rankings! 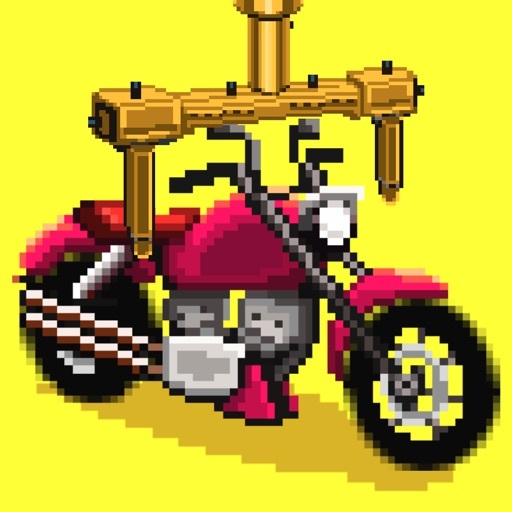 • Combine and create over 150 motorcycles! 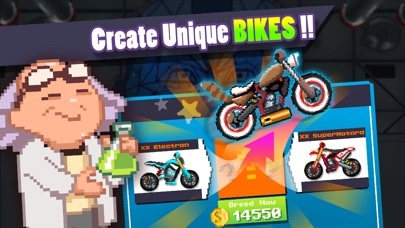 Mopeds, Scooters, Roadsters, Sports Bikes, Trail Bikes, Future Bikes even more fantastic than in your wildest dreams… BUILD ‘EM ALL! 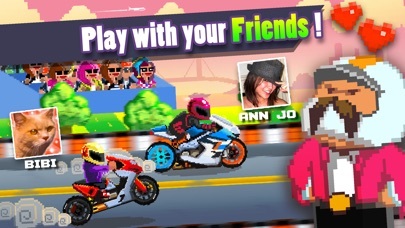 • Discover what you can do with your cars in the surprising adventure mode! 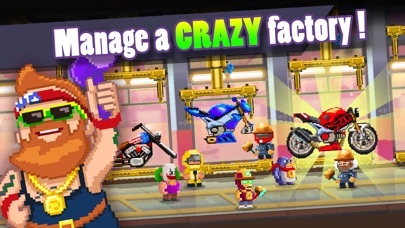 The applications Motor World: Bike Factory was published in the category Games on 2016-07-26 and was developed by Oh BiBi. The file size is 97.93 MB. The current version is 1.321 and works well on 8.0 and high ios versions. Do you like Motor World: Bike Factory applications? Please share! I am so loving this game. I can’t stop playing it. The settings to play the game are so high it’s asking to buy items all the time too expensive to play! Let me say I put enough time and money into this game, so I know what I’m talking about. When I start something I like to see it through and finish. This game will make you rethink playing any games in the future. Every time I click on the arrow to add more workers, it cuts out and ends!!! Then you have to restart. The workers need to be fed donuts when their stamina runs out. I think they should be able to work longer than 5-10 seconds!!! They drop off faster than you can feed them or replace them. When you try to click on something it usually recognizes whatever is next to what you want, therefore wasting time by forcing you to close out and retry. I never played a game that was more aggravating and frustrating! I really want to finish this game and build all the bikes but it actually is making that near impossible. If you love giving away your money and having a game close on you over and over..then this game is for you! I would give it less than one star if it was possible! I am disgusted!!! This is the first time I actually wrote a review because I seriously couldn’t take it any longer!!! This is a great game! I’ve played it a lot. But it won’t give me my reward for the event! I even updated the game because the update says it fixed that issue, but I’m still having it! Please help! Oh bibi, will you fix this glitch on iPhone 6 where the game freezes and you have to relaunch the game please fix oh bibi, please. Event finished recently, and the reward has not been dispensed yet. How long does that take? The game is great but the ads every 30 seconds are overwhelming. I deleted due to this. This game is a game you should get most reviews are just kids advertising their referral codes but I'm here to give you an honest review. It's a good game that is worth your time. There, you happy? Where do I start? The game normally crashes ten to fifteen times in a single hour. The link to report a problem tells you to link an email account, and there's no actual option to link an email account. Making purchases is a joke, there's often a promotion to get a chance of a good item. I've wasted a lot of money, and have not yet got the good item. I even made multiple purchases and received nothing. I emailed the support listed on Oh Bibi's web site and have not even got a response. 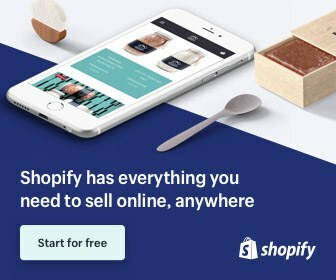 There's a feature to win free items by watching ads, and the odds of winning something worthwhile are slim. All in all it's a very repetitive game to use as a time waster. But take my word for it go elsewhere to spend money **update It's been over a week and no response from the support team yet. There was a game update and it stopped crashing as frequently, until about ten minutes ago, where it has been crashing at least once a minute. I'm going to email support again, maybe they don't fix your problem until you email a certain number of times. I'll update this review if anything happens. The game is pretty good for a sequel. Comes with a few new items, a different scenery, new features. I can't wait for what is in store for this game ! Rough graphics but fun to play!